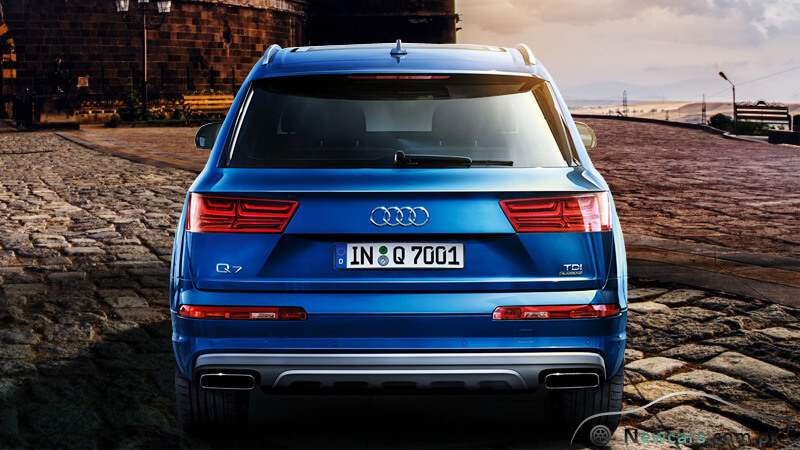 The advanced machine of Audi Q7 has been designed for extreme level of efficiency. It can generate up to 328 horsepower of force. 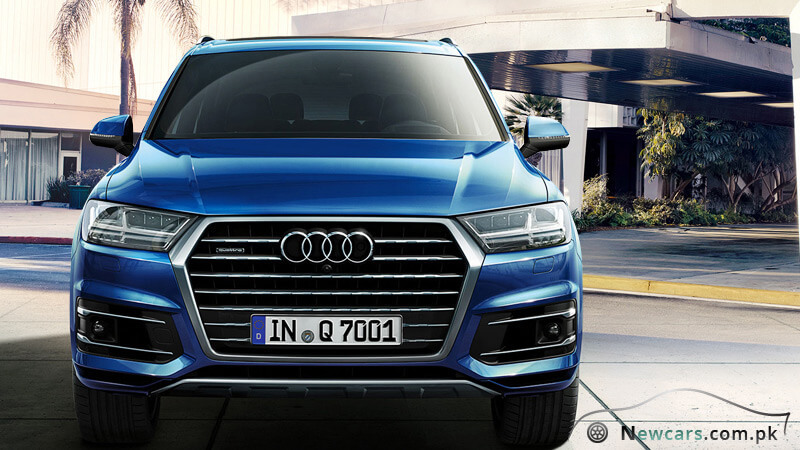 The Q7 can attain acceleration from zero to 100 kilometers per hour in just 6.2 seconds. 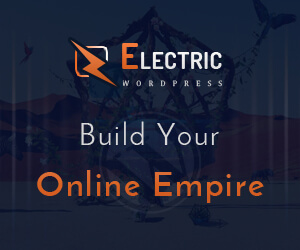 The speed is just fantastic, that is, up to 250 kilometers per hour. It is surprising to note that there is considerable reduction in the size and weight of the engine without compromising for the performance. It is the substitution of supercharging for cubic capacity that has led to reduction in the mass and dimensions of the machine. 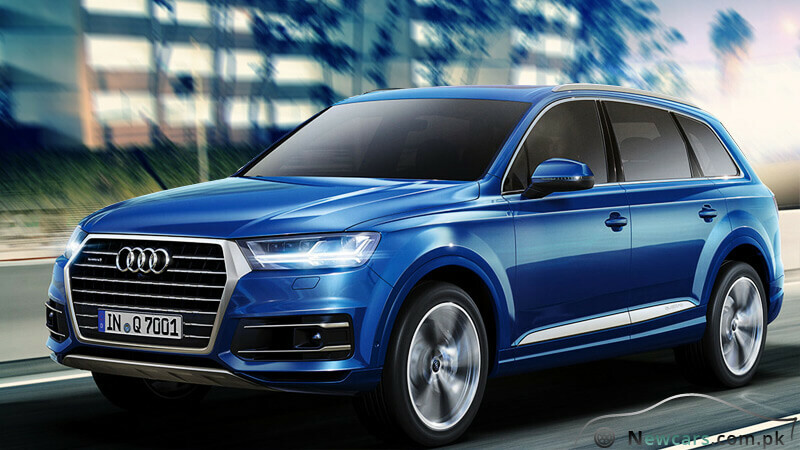 The tried and tested Quattro drive of this graceful Audi has a never-ending story of success. Its excellent driving dynamics are set to impress the riders to the maximum possible extent. While driving off-road, the vehicle makes use of its impressive capabilities. Turning to fuel requirement, it happens to be very economical. For an extremely powerful drive, the combined fuel consumption can be as low as 5.7 liters per 100 kilometers. For such an incredible power generation, the carbon dioxide emissions are also significantly low. The combined CO2 emissions are as low as 149 grams for a kilometer of drive. 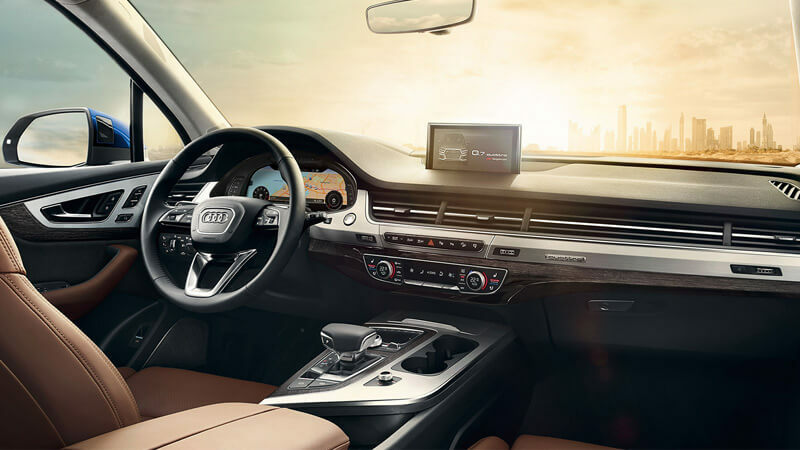 The interior of Audi Q7 provides enough space for your extreme comfort and convenience. On the other hand, the seats make use of a wide range of high quality materials, colors and functions. At the same time, they also exhibit excellent workmanship. Meanwhile, there are double inlays for lots of custom application combinations. 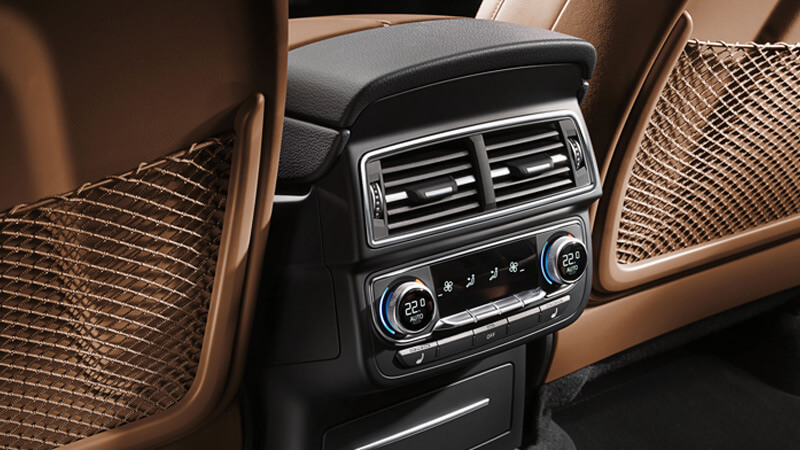 For the prevision of excellent air conditioning, there are four climate zones which you can adjust individually. All this furnishing and the tech accomplishments make the interior so serene and elegant. 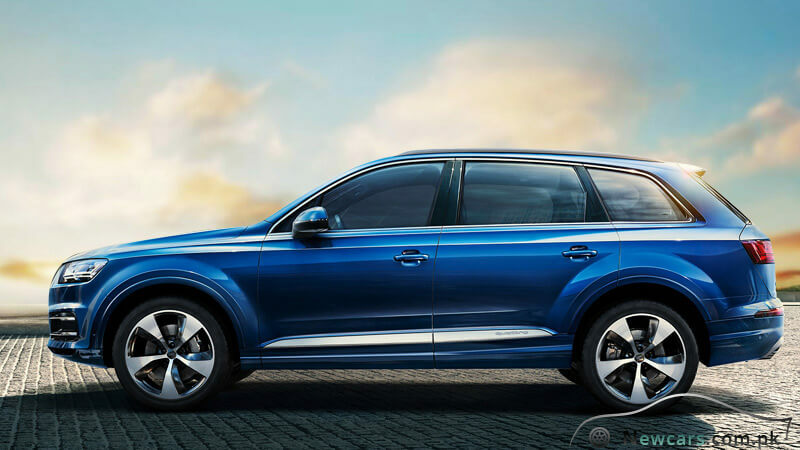 In the interior of Audi Q7, there is extreme flexibility to create new spaces. 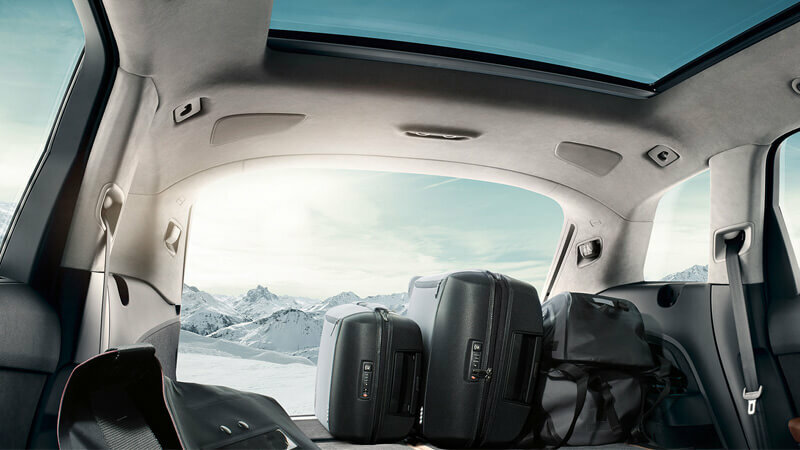 In this way, you can create a lot of space to accommodate all the luggage you want to carry with you along with the family. Through the proper adjustment of the seats, you can increase the space in the luggage compartment. A greater level of flexibility is available for an increase or decrease in the number of seats. You can install either just two or go for as many as seven seats. Also there is an option to install up to six child seats.